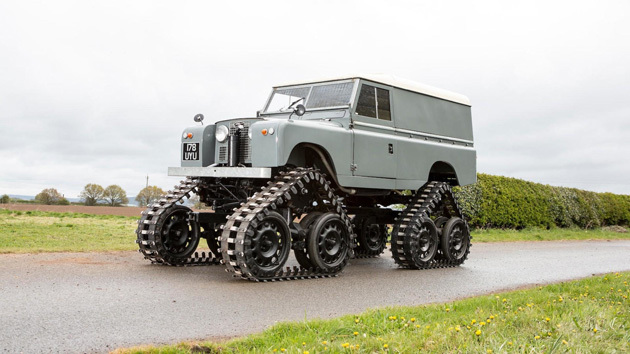 This Series II built in 1958 takes things to a whole new level. 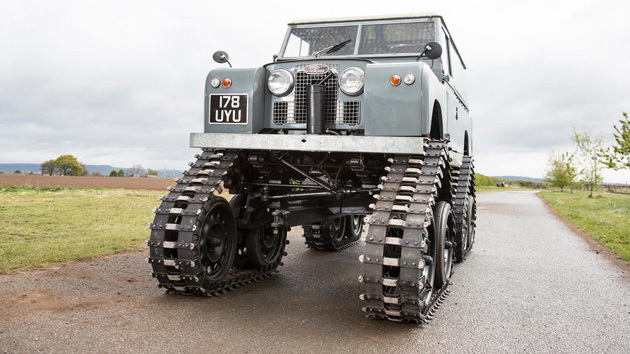 It did not come straight from the factory with tracks instead of wheels as the vehicle was converted by James A. Cuthbertson of Biggar in Lanarkshire, Scotland. Fewer than 20 vehicles were ever made and it’s not known how many of them still exist today. Chances are this is one of the nicest surviving examples, if not the very best. 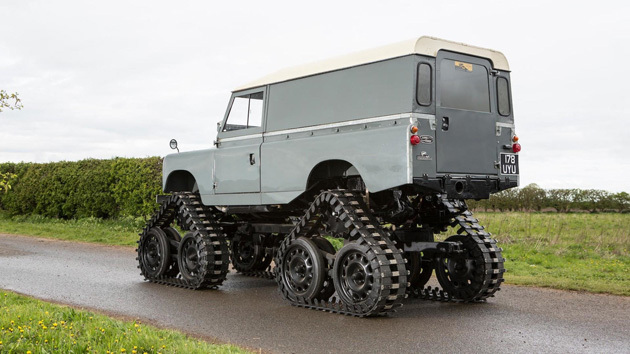 Cuthbertson developed a subframe to accommodate the tracks and then slapped on a Land Rover Series II on top of it. Driving those tracks are sprockets that have just about the same size as a conventional wheel. 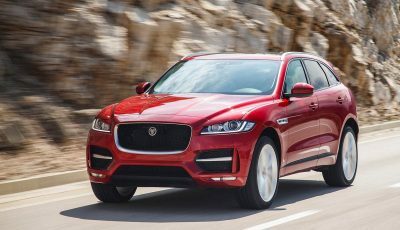 The off roader was also fitted with a husky crankshaft-driven power steering unit to make sure it would turn left and right. 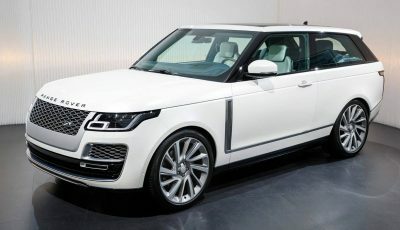 It goes without saying the Cuthbertson Land Rover was not built but to be fast. With a top speed of a little over 20 mph (32 kph), it won’t take down any Nürburgring records that’s for sure. 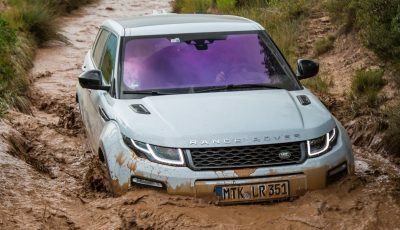 It was engineered to tackle even the most difficult terrains where conventional 4x4s of those days would fail. Interestingly, the modified Series II proved to be quite handy for the military during missions involving explosives clearing as it was much lighter than a tank.